Waking up for an early morning run and spending weekends improving your endurance will be a lot more fun when you have a running partner matching your pace. You can cajole your two-legged friends into being your mental motivation, but dogs have long since been prized partners when it comes to everyday exercise. 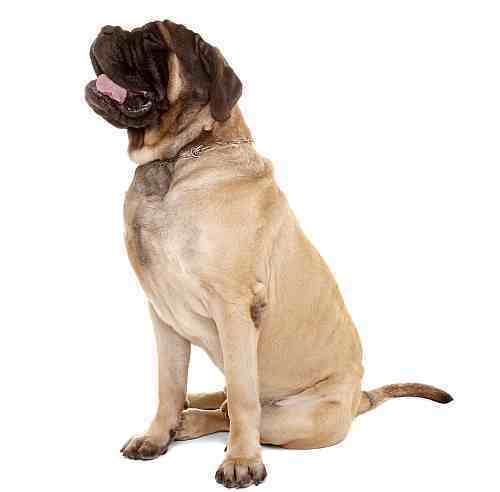 They’re athletic and enthusiastic, and the right dog will push you toward achieving your goals. They won’t bail on your early morning runs, and you’ll never hear them complain about putting in the extra effort to stay fit. 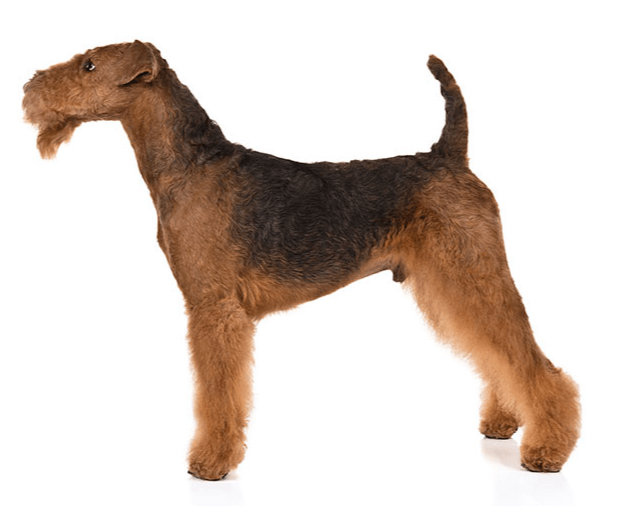 Not every dog is a rock star racer, but certain breeds are built specifically to run fast and far. Here are a few of the best canine running partners to match your running style. 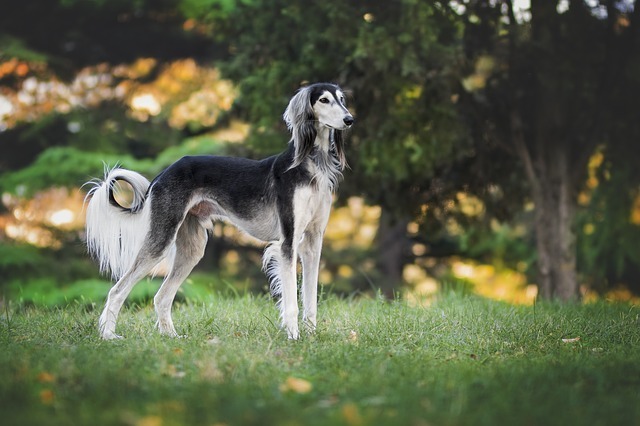 As the second fastest dog in the world, the Saluki is the kind of running partner with a need for speed. They can move up to 42 miles per hour, which leaves even the fastest Olympic sprinters in the dust. They’re considered medium-sized dogs best know for the graceful way they move and their skill as a sighthound. If you’re interested in going on short, fast runs, the Saluki can keep up. 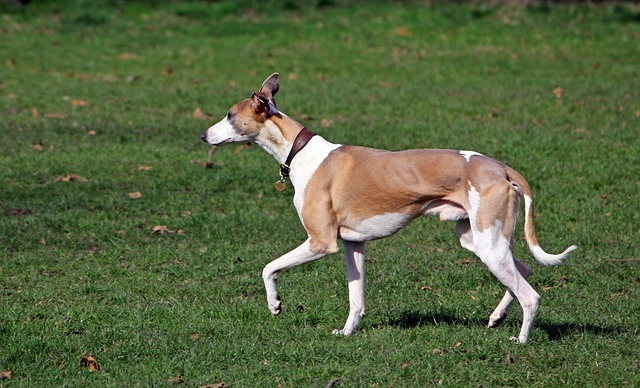 Small and lithe, the Whippet can weigh anywhere between 15 and 42 pounds. What they lack in stature, they make up for in speed. 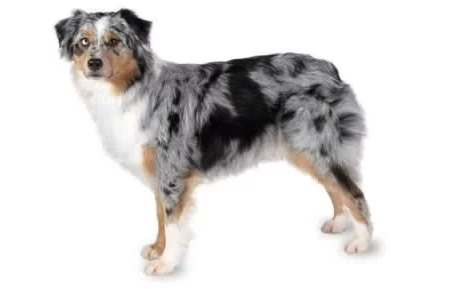 They can go from standing to sprinting in less time than any other dog breed in the world, and they’ve been recorded running up to 40 miles per hour. When they’re not racing around, Whippets are calm, almost lazy dogs. They’re ready to relax after a short, fast run. 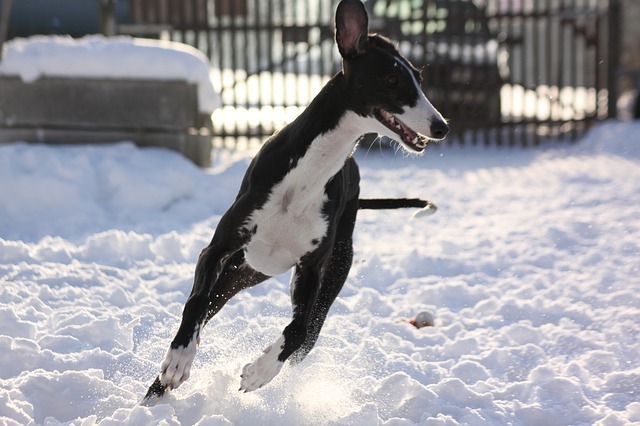 Topping the charts as the fastest dog in the world, the Greyhound can run up to 45 miles per hour. Their sprinting prowess has historically been taken advantage of in the form of dog racing and has lead to some serious abuse issues. Retired race dogs make great family pets, and Greyhounds in general do well with semi-active owners. Like Whippets, they’re content to lay by your side while you stretch out sore muscles after an intense sprint workout. These lovable goofs will never turn down a chance to be up and active. 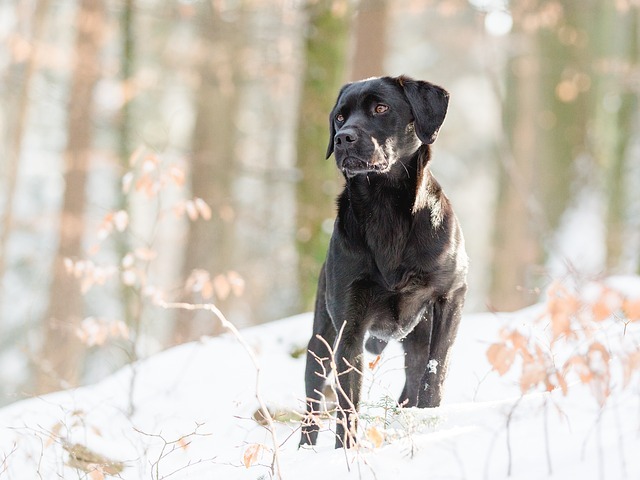 They’re the quintessential family dog, and they love to channel their energy into structured exercise. Their sturdy bodies can keep up a decent sprint, and with the right training, they can build up the endurance to run a few miles. They’re prone to overeating and putting on extra pounds, and a role as a regular running partner helps them stay fit and trim. 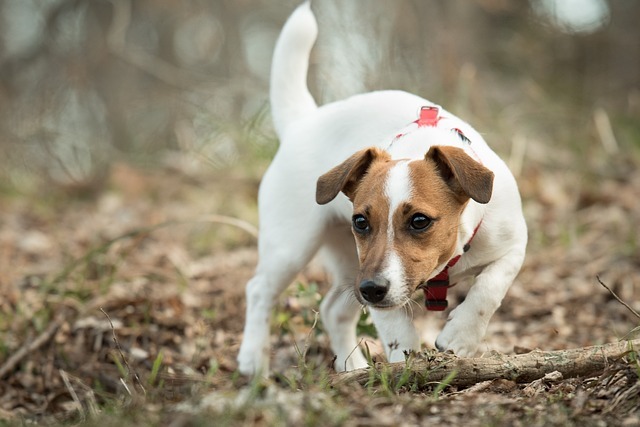 Small dogs can also be athletes, and the Jack Russel Terrier is a prime example. These little dogs only weigh around 15 pounds, but they’re deceivingly strong. They’re about as high-energy as a dog can be, and their lively personalities are fueled by a general enthusiasm about life. Jack Russel Terriers make good running partners for people who like to run moderate distances on a daily basis. 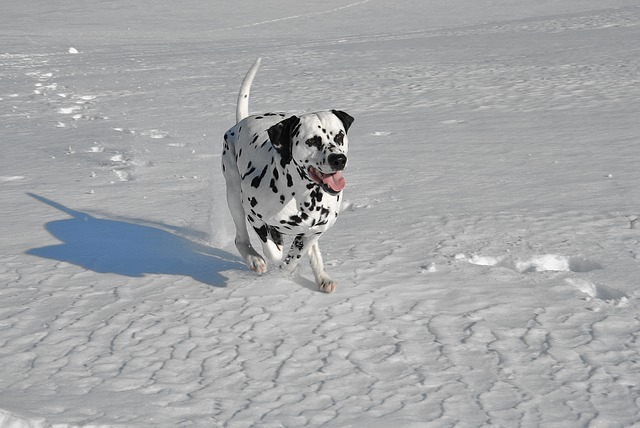 There’s more to a Dalmatian than striking good looks. These outgoing dogs are happiest when they’re active. They were originally bred to run ahead of horse-drawn carriages to keep the roads clear, and their general athleticism is good for running at fast speeds and for moderate distances. 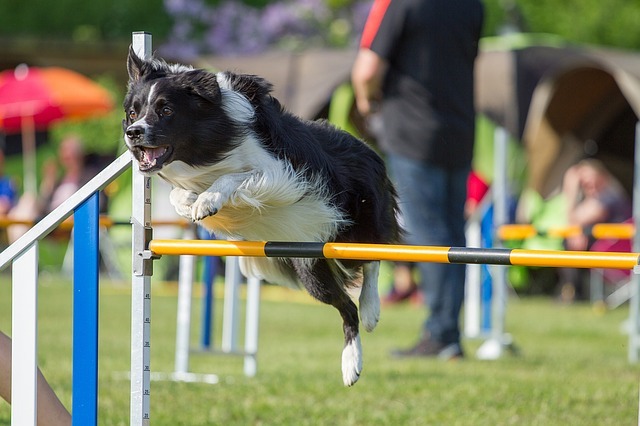 Usually the reigning champs on the agility course, Border Collies are medium-sized dogs with combined athletic excellence and a healthy amount of energy. They’re natural herders and might prefer to have a purpose to their run, but they’re great for people interested in running up to a few miles every day. They motivate their owners to lace up their sneaks because without daily exercise, they’ll find creative (read: mischievous) ways to burn energy. As large, powerful dogs, Alaskan Malamutes are built to pull heavy sleds across miles of frozen landscape. “Hardy” is one of the best words to describe them, and they excel in distance running under the right conditions. They prefer cold weather and can spend extended amounts of time burning off energy. Their ancestors pulled sleds hundreds of miles through the snow, and they’ll be happy to accompany you on your long runs in cool weather. 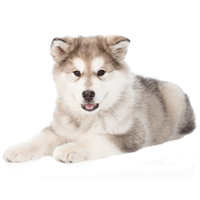 Huskies have a similar look to Malamutes, but they’re slightly smaller and a separate breed. 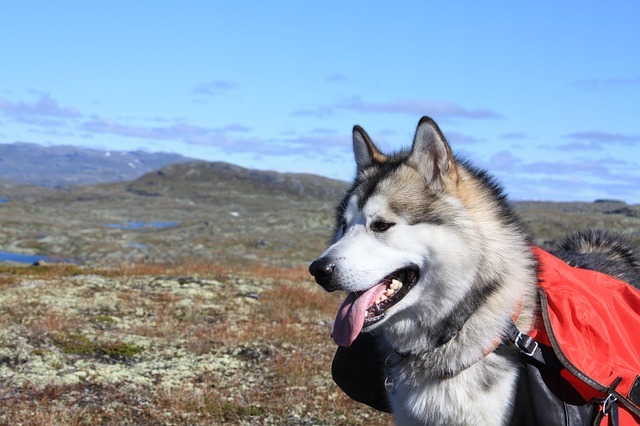 While Malamutes are packed with forceful muscle, Huskies are lean and quick. They’re natural runners who seem to go and go and go. 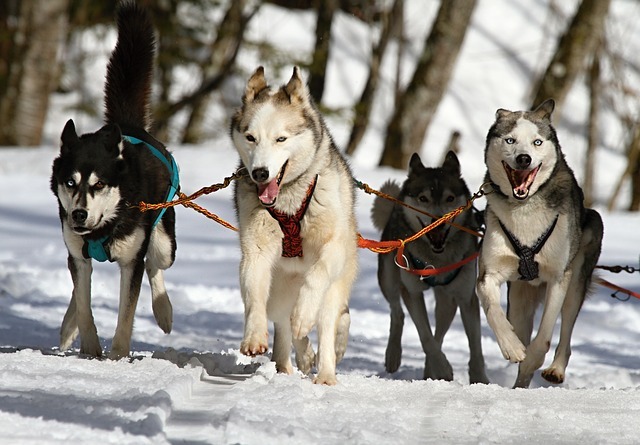 It will depend on training and weather, but a fit husky can usually run 15-20 miles without overexerting itself. 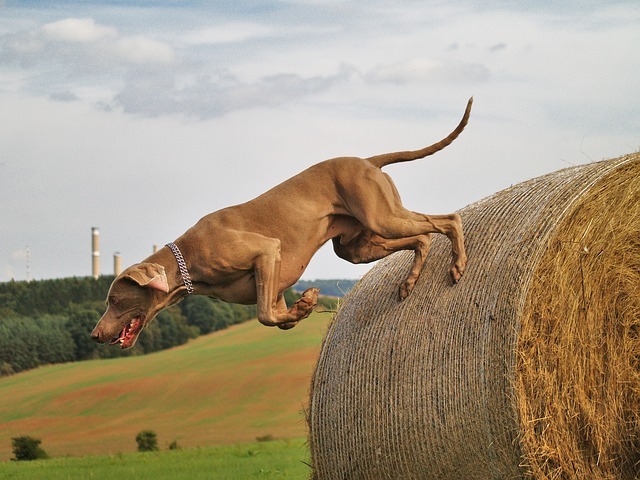 Runner’s World lists the Weimaraner among their list of the best canine running partners in part due to the breed’s love of people. They make great family dogs, and they prefer to always be right by their owner. Their natural energy and well-muscled physique also makes them great at endurance running. They like going on long trail runs where they have the extra challenge of leaping over logs, climbing mountains, and getting in touch with their wild side. They’re great for backpackers and runners who prefer hitting the trails over pounding pavement. 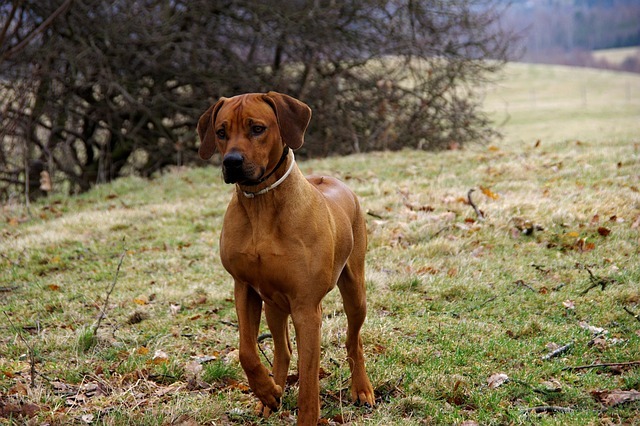 Muscular, powerful, graceful—the Rhodesian Ridgeback is capable of running marathons. 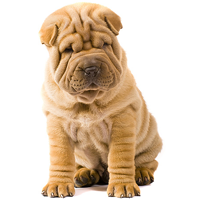 This dog breed was originally valued because they fought lions in Africa. They’re fierce when they need to be, but they make great family companions. When your lungs are burning and you need someone to motivate you to keep going, your Ridgeback will pull you to the finish line. They thoroughly enjoy running long distances, and they’re the kind of running partner that’ll be ready to go morning, noon, and night. No matter what breed of running partner you choose, the most important thing to remember is to commit to proper training. You can’t start running marathons after years of sitting on the coach, and these dogs can’t either. Together you and your four-legged running partner can gradually build up your fitness levels. They’ll be with you on the tough days and the easy days to help you go the distance. 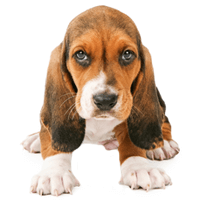 Before you get started, talk to you vet about the best way to ease your pup into a running routine.